A national network of oganisations and individuals involved with Australia-Indonesia cultural exchange. their culture and create an open forum for cross-fertilisation of ideas. The First On-line Magazine about Indonesian Culture in Australia. ISSN 1443-3680. AIAA was Founded in 1998 as a National Network of Artists and Organizations involved with cultural exchange between Australia and Indonesia and for the last 15 years have been in the forefront of Australia Indonesia cultural exchange throughout Australia and in Indonesia. AIAA programs have had a massive impact on Australians' experience and respect for Indonesian culture with literally thousands of schools and festival events taking place during the last 15 years. Our aim is to create cooperation and a positive image of Indonesia in Australia. AIAA initiated this project with the support of the Australian Consulate in Bali and with the assistance of Gamelan Master Dewa Made Nurjana achieved an invitation to present a major collaborative project of Australian and Indonesian artists performing the Shakuntala Dance Drama with full Balinese gamelan orchestra at Bali Arts Center, Bentara Budaya and other major venues in July 2016. 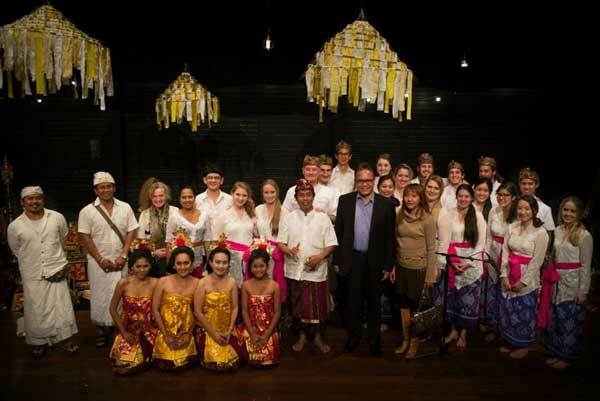 AIAA initiated the Australian Cultural Ambassador project in 2015 in conjunction with the Australian Consulate in Bali and support of the Balinese provincial government and the University of NSW which created the opportunity for over 20 University of NSW students and lecturers to perform at premier cultural event Bali Arts Festival plus a VIP dinner for 100 invited guests with TV and media coverage. 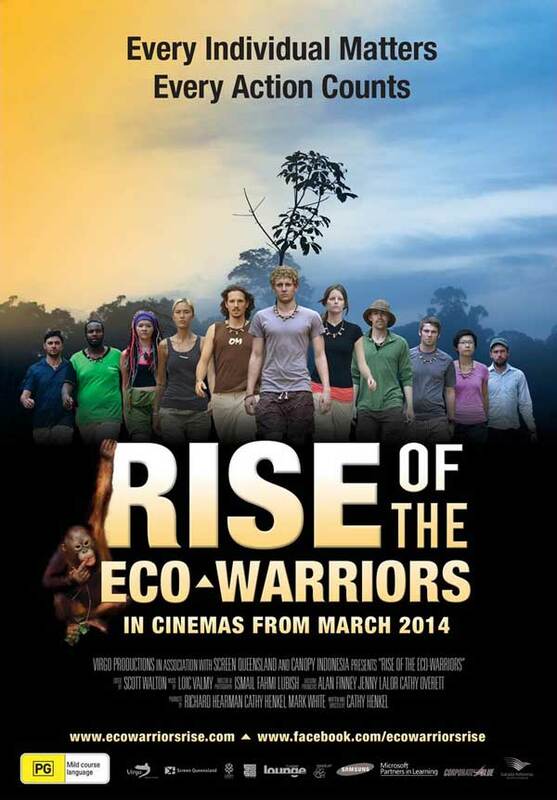 The Rise of the Eco Warriors is a film about a group of young people from all over the world who went to the Kalimantan jungle aiming to save orangutans from the effects of Palm Oil production which is destroying their habitat as well as having a huge global impact on climate change. The Eco Warriors created an international project which works with schools across the world to assist the local dayak villages in saving orangutans and fighting climate change by undertaking reafforestation and orangutan protection projects. 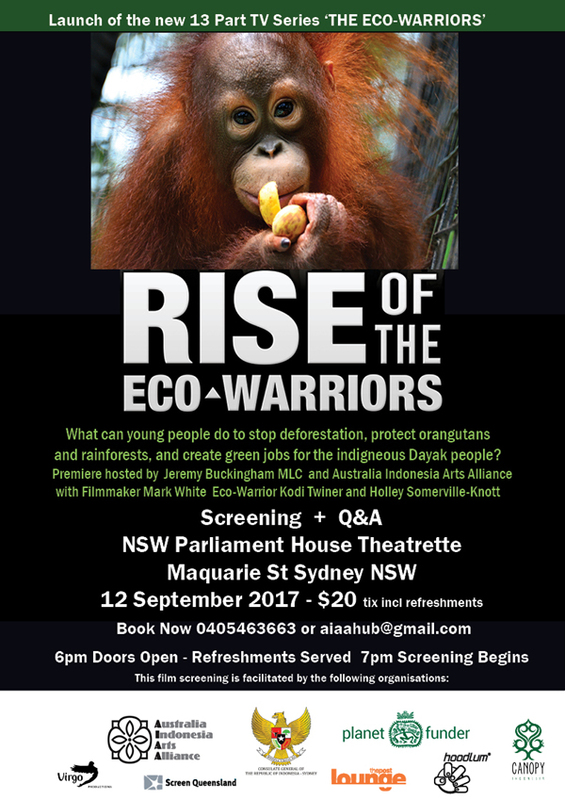 The Eco Warriors Team will undertake an Australian school tour which will involve a film screening of the Rise of the Eco Warriors Film and a talk by one of the filmmakers or Eco Warriors team followed by ongoing follow-up and relationships between the Eco Warriors and the schools involved.